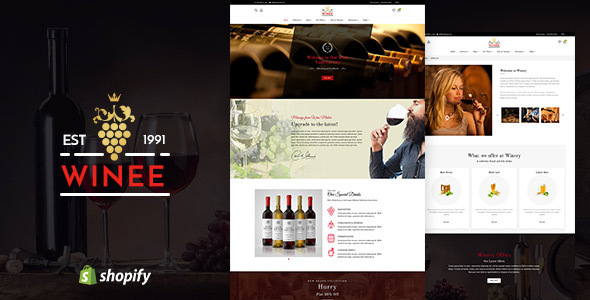 Winee is a magnificent Shopify theme uniquely created for wine, food and drinks stores. With the remarkable color combination and engaging layouts, your goods and contents will be displayed in an excellent look that grabs your visitants hearts at the initial visit. Notably, each page of the theme is completely responsive, so your products can be seen presented perfectly on various devices and screen sizes.